Frogs are amphibians, which means they live part of their lives in water and part on land. They hatch from eggs into tadpoles and live exclusively in water. There are approximately 4,000 types of frogs but each shares the transformation from gill-breathing fish to air-breathing frog. 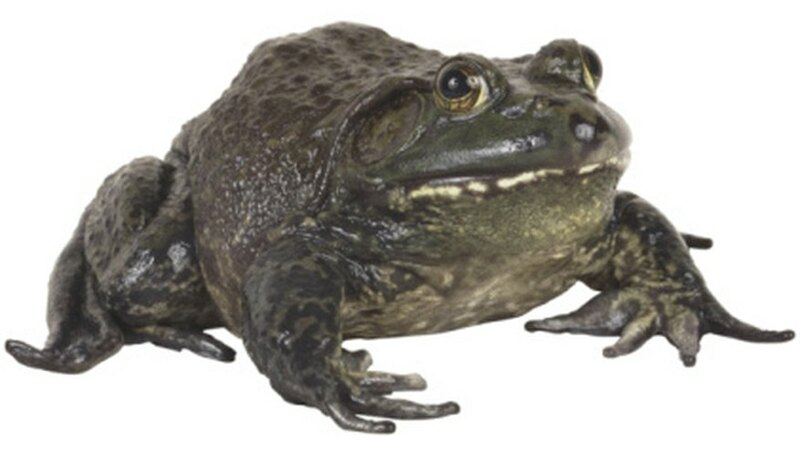 Their fascinating life cycle makes frogs a popular topic for science study and one that will likely hold your students' attention. Young elementary students can color pages on the life cycle of a frog, but as early as third grade, students collect scientific data and make observations. Have students collect frog eggs from a local pond or collect tadpoles if you can't get eggs. 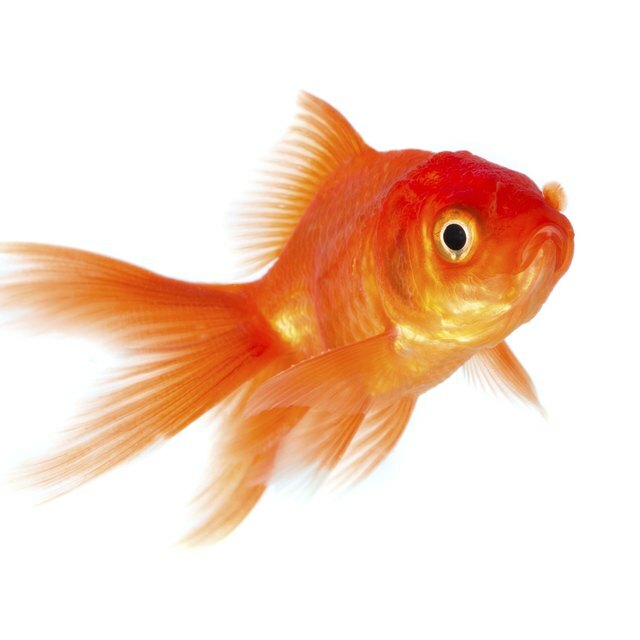 Place them in a clear aquarium with water from their home pond and observe their life cycle. Be sure to provide food for the tadpoles, remembering that they are carnivores and will eat each other if they don't have adequate food. As the tadpoles change into frogs, they will need a way to climb out of the water to breathe and rest. To enhance your learning of frog anatomy, do a real or virtual dissection. Virtual Lab offers an introduction to frog dissection and a virtual lab of all the body systems. However, if you want to do a real dissection, Edmund Scientific has vacuum-packed frogs available for purchase as well as dissecting tools. Provide an outline of a frog on paper so that students can draw their findings and create a picture of a frog's anatomy. Dissection allows students to see some of the frog's internal systems, such as the excretory system. 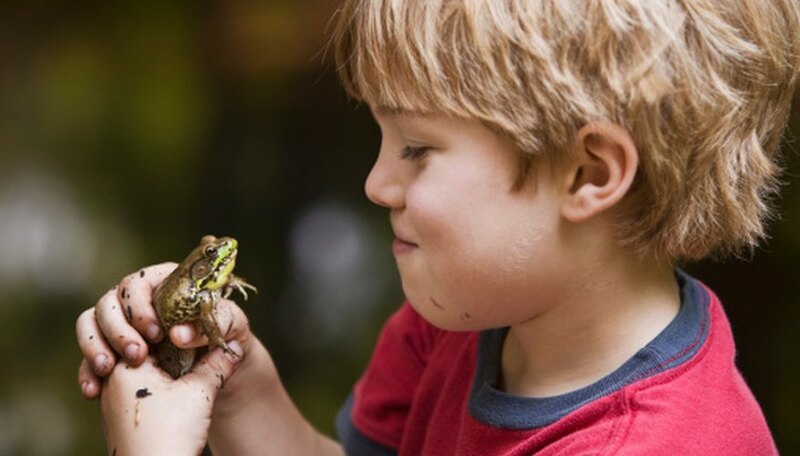 Access Excellence's Lauren Jensen suggests studying frog respiration to teach scientific method and how to treat a specimen with respect during scientific inquiry. If your location allows for it, collect frogs for use in this experiment from local ponds. Otherwise, you will need to purchase them. Measure breaths per minute by observing how many times the frog's nostrils flare in a minute or by observing the in-out motion under its jaw. Do this several times, recording your observations and finding an average number of breaths per minute. Next, record respiration rates again but lower water temperature in 10-degree increments but not lower than 15 degrees Celsius. Consider the relationship between water temperature and respiration rate. National Geographic reports that deformed frogs have been found in 46 U.S. states and identifies likely causes as pesticides and parasites. Research types, causes and geographic locations of frog deformities and see if your state is affected. Students can think about what they can do locally to help educate people about human habits that lead to frog deformities. Also, students should consider the significance of frog deformities for humans. Christina Gandolfo first began writing professionally in 1985 for the "Burlington County Times." Her work has also appeared in "The Register-News" and "The Leader." She has a Bachelor of Arts in English from Franklin and Marshall College in Lancaster, Penn., and a Doctor of Philosophy in English from Lehigh University in Bethlehem, Penn. Gandolfo, Christina. "Frog Science Projects." Sciencing, https://sciencing.com/frog-science-projects-7952595.html. 25 April 2017.